BUDAPEST, Hungary (AP) — A Hungarian appeals court on Thursday lowered to five years from seven the prison sentence of a Syrian man convicted of entering Hungary illegally and of complicity in throwing rocks at police during a 2015 border riot. 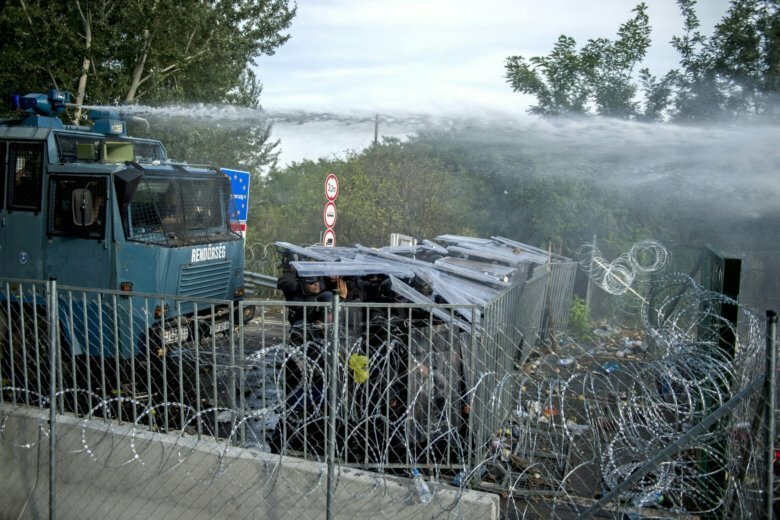 The case stems from rioting at the Hungary-Serbia border on Sept. 16, 2015, when dozens of police officers, migrants and some journalists were injured in clashes a day after Hungary closed the frontier, stranding hundreds of migrants. “Ahmed’s absurd conviction has nothing to do with justice but instead plays into the hands of the Hungarian authorities’ demonization of refugees, migrants and those seeking to protect them,” said Eda Seyhan, Amnesty International’s counter terrorism campaigner. Since the 2015 migration crisis in Europe, Prime Minister Viktor Orban’s government has applied increasingly strict anti-immigration policies. Recent legislation has included constitutional amendments, the imposition of a special tax on the funding of activities the government considers to be promoting migration and the criminalization of any assistance given to refugees and asylum-seekers, whose rights have also been curtailed. The appeals court in the southern city of Szeged said Ahmed Hamed, a resident of Cyprus, has to serve at least two-thirds of his sentence before he can be released, so he may be freed in a few months. Hamed, who was also expelled from Hungary for 10 years, had been sentenced to 10 years in prison in November 2016 but an appeals court annulled his conviction and ordered a retrial in June 2017. That resulted in the seven-year sentence which has now been reduced.